Alan Turing is a man with an unfinished story. He was profoundly ahead of his time, and was mercilessly persecuted in his own time. "He had more impact on our century than Einstein," says Brandeis University professor Seth Fraden. "The creation of the computer and a universal computation engine that envisioned when he was 22 years old has transformed the world. You could make an argument that he was the most impactful scientist of the 20th century." Fraden's colleague, Brandeis chemistry professor Irving Epstein, says, "Maybe he was the Leonardo da Vinci of 20th century science." A mid-century British mathematician, Turing wrote the paper that essentially created modern computer science. 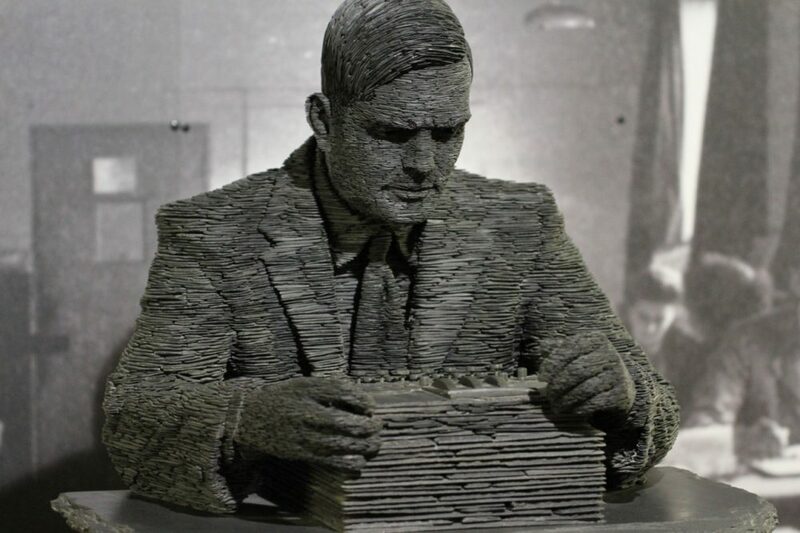 During World War II, it was Turing's code-cracking work that led the British to break the German's famed "enigma" code — a breakthrough that changed the course of the war. Alan Turing was also gay. And though he was undoubtedly a war hero, in the early 1950s, he was charged with gross indecency after admitting to a sexual relationship with another man. He was forced to choose his punishment: either imprisonment or chemical castration. He chose the latter. I've now got myself into the kind of trouble that I have always consider to be quite a possibility for me, though I have usually rate it about 10:1 against. I shall shortly be pleading guilty to a charge of sexual offenses with a young man. No doubt, I shall emerge from it all a different man, but quite who, I've not found out. Therefore machines do not think. Alan Turing was chemically castrated in 1952. He committed suicide two years later. He was just 41 years old. And it was only last year, in 2013, that the British government officially pardoned him. But this is not the story of the tragedy of Alan Turing. This is a story about his triumph. Because in the same year of his ghastly punishment, Alan Turing published one of the most important ideas in modern biology. He offered a mathematical explanation for cell differentiation — a process known as morphogenesis. "It's the creation of shape," says Epstein. "And in the biological context, the question is, if I start from a single cell, which then divides into two identical cells, and four, and eight, and up to a certain point, every one of those cells is absolutely identical to all the others, the question is, how does differentiation happen? How does one cell become destined to be a bone cell or a blood cell or a brain cell? And how, ultimately, do we get shape in an organism, as opposed to just a spherical blob?" We all begin our lives as one cell. And yet, somehow, as that cell divides, we go on to form complex structures like brain and bone and blood. We become the human organism — or, for other beings — frogs, flowers, fruit flies, anything that lives. Because morphogenesis is the founding process that leads to the differentiation of all those millions of kinds of living cells. "He asked a question about what would be the origin of this, and he made a model that could be mathematically addressed and then raised very specific questions, and those questions then guided all of the field of developmental biology to this day," says Fraden. Questions within questions within questions. Or, as Winston Churchill put it for an entirely different subject in 1939, "It is a riddle, wrapped in a mystery, inside an enigma." A perfect problem for a man like Turing, the masterful code-breaker. "He looked at an individual cell, and he says, this is a bag of chemicals that's reacting. And then it's interacting with an adjacent identical cell through the process of diffusion," says Fraden. "Just where some concentration of chemicals is higher in one cell than the other, and so it will diffuse just like if you put a drop of dye in water, it will spread out and what was bright red would then diffuse and become pink everywhere. And so through just combining these two processes, reaction and diffusion, he showed that there could be six different forms that this set of cells could take. And not five, not a hundred, but six precise forms. And he said under what conditions these would arise, and that's what we set out to check." Turing was right. Just a few months ago, 62 years after Turing published his paper on morphogenesis, Fraden and Epstein's team confirmed that Alan Turing's mathematical model of cell differentiation actually works. It took a team of graduate students and professors years of work with cutting edge scientific technology to prove what Alan Turing had conjured up in his imagination. "This is what makes Turing very special," says Fraden. "So, he takes problems and he strips them down to their essence. He was acting as a mathematician, where everything was going on entirely in his head. The first line of his paper says, 'This is going to be a simplification and an idealization and, consequently, a falsification.' So he looked at the complex situation of nature, of human life, and he distilled it down just the very barest minimum essential, but so simplified that he could analytically solve on a piece of paper all the properties that would emerge." "He talks about chemicals that he calls morphogens," says Epstein. "And the actual morphogens were not identified until decades after his death, but he had this idea. And he translated it into a mathematical model. I mean, the remarkable thing for scientists today when they look at what he did was not only didn't he use a microscope, but for the man who essentially invented computing, he didn't have a computer." Or at least Turing didn't work with any sort of computer we'd recognize today. He did use a computational machine in the early 1950s, one based on his World War II code-breaking work, and this machine had a whopping 32 kilobites of memory. The Brandeis team obviously worked with far more sophisticated tools, including a special apparatus, which enabled them to produce arrays of tiny droplets of water floating in oil. "We could look at the behavior of each of these individual droplets, which we can think of as biological cells, producing chemicals which diffuse through the oil and eventually reach the neighboring cell, creating the kind of interaction that Turing had in his model," says Epstein. "I remember the hair standing up on the back of my neck. It was quite a moving moment for me, actually," says Fraden. "When you look in the microscope at these drops flickering and flashing light and changing shape, they really look like something living. And it's quite stunning. And then to have these drops, which are all identical chemicals, and then to exhibit very different kinds of behavior, so, behaving like a potent cell, that, depending on its environment will change from one fate to another, to see that happen, not in a living system but a purely synthetic system, was kind of an experience that I think Dr. Frankenstein had when he took lightning and took inanimate flesh and vitalized it." Mary Shelley's Frankenstein was, of course, something of a cautionary tale. Fraden and Epstein remind us that their work is entirely on synthetic, man-made models. Even though Turing's ideas form the basis of morphogenesis, things get much more complicated in the natural world when you have to contend with things like gene regulation and expression. "In biology there's hundreds, thousands of these factors," says Fraden. "It's very complex. But the question was, could one actually make a system that only has this minimum number of ingredients — two, three chemicals, and achieve the same kind of complexity that you have in biology. The answer is yes. Turing was regarded as a metaphor for morphogenesis. And with the synthetic system, we've shown that it's more than a metaphor, that you can actually start thinking about engineering systems. And if you can now engineer these systems, what's the minimum you need to make something like a plant? Why can't we grow cloth that are more like an exo-muscular system that will contract and exert stress? So these are the avenues we're pursuing now, based on this work." So this is Alan Turing's latest triumph. The code-breaking mathematician broke the code of cell differentiation. In 1952, by forcing him to submit to chemical castration, the British government used chemistry to persecute him for being gay. And yet in 2014, Turing's work in chemistry and biology continues to push forward the boundaries of human possibility. "Turing is an inspiration," says Fraden. "To me, that there are such individuals — that such individuals have existed, is very inspirational. That there was a Newton or an Einstein or a Turing. And then it is rewarding to follow work with that personal connection, and to go into the lab and see these drops dance and breath and mutate in front of your eyes is a pleasure." "I think, ultimately, we're having fun," says Epstein. "We love what we do and the fact that we get to do it every day of our lives." Check out the Fraden Group's website, which includes videos of morphogenesis experimentation. 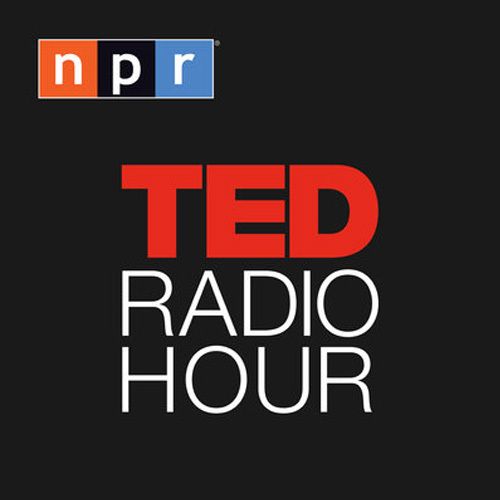 Seth Fraden, professor of physics at Brandeis University and author of a new study in the Proceedings of the National Academy of Sciences, "Testing Turing's Theory of Morphogenesis in Chemical Cells." He tweets at @sethfraden. Irving Epstein, professor of physics at Brandeis University and author of a new study in the Proceedings of the National Academy of Sciences, "Testing Turing's Theory of Morphogenesis in Chemical Cells." "60 years after his suicide, scientists at Brandeis University and the University of Pittsburgh have published a study offering experimental evidence confirming Turing's theory." "The Alan Turing Institute will focus on new ways of collecting, organising and analysing large sets of data - commonly known as big data." "Alan Turing, a British code-breaker during World War II who was later subjected to chemical castration for homosexual activity, has received a royal pardon nearly 60 years after he committed suicide."